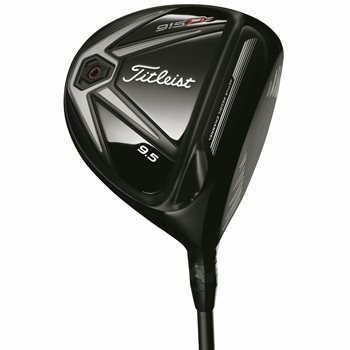 The Titleist 915D3 driver features the new Active Recoil Channel (ARC) which is a side sole channel the delivers more distance by actively flexing at impact to launch the ball off the face with higher speed and lower spin. Additionally it features a new face called the Radial Speed Face, high MOI head design and the SureFit Tour hosel technology, which allows the player to make independent loft and lie adjustments for the most precise fit possible. The clubhead features a rich black finish and delivers a superior sound and feel unlike any other. This driver features a pear shape head design and is slightly smaller at 440cc and delivers a slightly lower launch angle and spin rate as compared to the 460cc 915D2 driver. Review by Bridgeo, 3 years ago. Review by John K, 3 years ago. Can this clubhead be purchased without a shaft? How much? All clubs are sold complete as listed. We do not sell just club heads. is the rogue black offered a 95msi or 110 msi?